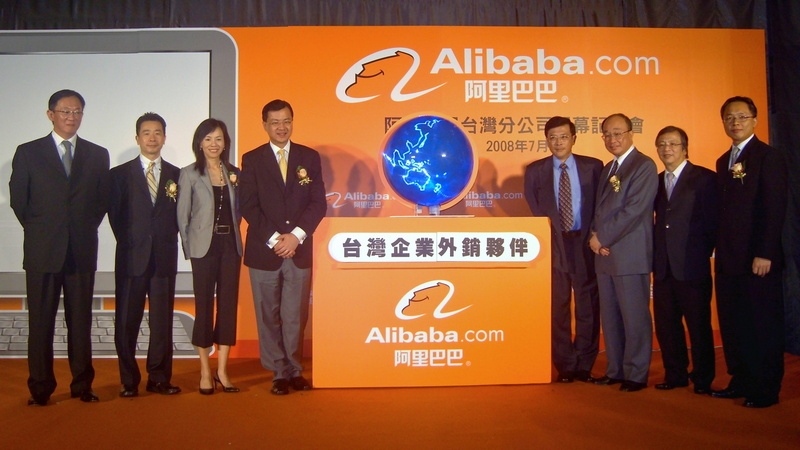 If you are familiar with the e-commerce giant Alibaba (BABA), you might wonder how you are able to purchase shares in the stock given that the government for the People’s Republic of China has substantial bans on foreign direct investment that aims to keep ownership of Chinese-originated businesses in the hands of the Chinese. These Alibaba executives induced foreign investment by creating a complicated contract scheme to get around China’s harsh laws restricting foreign investment. If you buy stock in Alibaba, you are really making an investment into a Cayman Islands holding company that owns a company that has contracts with the Alibaba operating business that entitle it to dividends, capital appreciation, and voting rights. Your “ownership” isn’t based on being an owner, but rather, is a contract right where you contract away your money while the Alibaba operating business contracts away dividends, capital appreciation, and voting rights. To receive capital from American investors—or investors anywhere outside China for that matter—Chinese business executives have begun to create variable interest entities (VIEs) that are designed to mimic the effects of foreign stock ownership. Back in 2000, a Chinese-based business called Sina Corporation split itself into three entities. When it received cash from American investors, it stuck the funds into a low-tax, offshore holding in the Cayman Islands. It then gave that holding company full ownership of a wholly foreign-owned entity that has its residence in China. From there, the wholly owned foreign entity enters into a contract with the parent business which apportions certain voting rights, dividend rights, and rights to receive dividend distributions. When you “bought shares of Sina” in 2000, you really owned an offshore holding company that used a straw intermediary that entered into contracts to receive typical stock benefits and attributes from the parent business itself. No Chinese regulators blocked this transaction. The People’s Republic of China held back from issuing a ruling because the local businesses retained control of the operations and money flowed in and the Chinese economy expanded at a high single digit clip. In the past 17 years, approximately 138 Chinese companies have made themselves available to American investors via the variable interest entity structure, including Alibaba. So what to do if you’re an American investor that gets your interest in Alibaba revoked? You only have three possible venues for a lawsuit—you could sue in China, but good luck with that, because there would have just been a regulatory determination that your interest via contract was void and the Supreme People’s Court of China isn’t exactly known for favoring Western investors. You could try to sue in the Cayman Islands, but because Alibaba’s presence in the Cayman Islands only existed to the extent that it could support the straw entities, Alibaba could just withdraw from the country altogether if these VIEs fell through. In short, there’d be no enforceability to the judgment. And then, there is the possibility of suing in the United States (or whatever Western country you’re investing from.) This may be tricky. The VIE contracts state that you can only resolve disputes in China and the Cayman Islands. The 1st, 2nd, 6th, and 8th Circuits in the U.S. courts have held that if an international contract specifies the jurisdiction where the dispute shall be settled, then that venue shall prevail. Meanwhile, the 3rd and 9th Circuits have carved out an exception for when you’re not able to receive a remedy in those countries. Usually, split circuit opinions on an issue is ripe for a Supreme Court ruling. The Supreme Court has traditionally said that it won’t create a venue in the United States that the contracting parties didn’t contemplate if there exists a “means of redressing the grievance” in the venue that is the subject of the contract. You can theoretically redress your grievance and appear before a Court in China, and that may satisfy this historical prong. Beyond that, there is no clarity on how qualitatively the Supreme Court would address your ability to redress the grievance. If these VIE contracts are ruled void, it would likely occur during poor economic conditions in China when there is enhanced political will to give foreign investment the boot. It is important to remember that China has not given regulatory approval to Alibaba’s holding structure, or that of any Chinese firm utilizing the variable interest entity structure, and has merely chosen to let this maneuver unfold. Personally, I do not believe that Chinese regulators will determine that these contracts connecting foreign investment to Chinese business operators are void. Instead, I think there is a realistic risk of reclassification in which China will bless the arrangement in exchange for receiving the difference between China’s prevailing tax rate and that of the offshore location such as the Cayman Islands. For instance, the Chinese corporate tax rate is 25%. In 2016, Alibaba paid a tax rate of 18% because of its Cayman Islands domicile. My intuition is that Chinese regulators will demand tax payments on the difference between the 18% and 25% rate and exchange will permit the contract arrangement to continue or simplify the form without changing the substance. The risk here is that it could be applied retroactively and result in a one-time big tax bill. I mention all of this not to scare you or even discourage investment in Alibaba stock on these grounds. I view Alibaba similar to the upcoming Saudi Arabian IPO of Aramco—there are enough compelling factors to justify an investment of a modest amount. However, I would never permit either of these investments to comprise more than 6% or so of my net worth if I were middle-aged or older. It is crazy to me that a $300+ billion internet company has had its entire ownership structure based on an offshore contract premise that has been untested by regulators. Maybe all of these legalistic formalities serve as a proof of the concept that capital will always find enterprising business opportunities. Notice: To comply with Missouri law on posts that discuss legal concepts: Everything in this post should be read for general informational purposes only and is not intended as legal advice. ← What If You Don’t Invest In The Best Stocks?